Product description: A Beauty For The Billionaire is written by Elizabeth bevarly and published by Mills & boon. 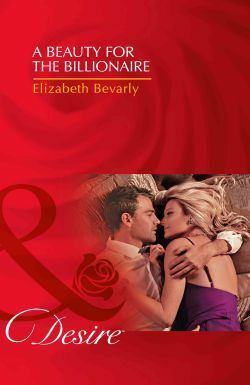 Buy A Beauty For The Billionaire by Elizabeth bevarly from markmybook.com. An online bokstore for all kind of fiction, non fiction books and novels of English, Hindi & other Indian Languages. Elizabeth Bevarly is the New York Times bestselling author of more than seventy books whose novels have been translated into two dozen languages and published in three dozen countries. Currently, she writes romance for Harlequin and women?s fiction for Berkley Trade. More recently, she?s turned her efforts to screenwriting and, with her writing partner Lorena Peter, has completed four scripts?the latest of which is in the process of being shopped around. She has called home places as exotic as San Juan, Puerto Rico and Haddonfield, New Jersey, but currently lives and works back in her hometown of Louisville, Kentucky. When she?s not writing, she?s making soup or scones from whatever she digs out of the freezer or binge-watching British and Canadian TV shows on Netflix. Visit her website at www.elizabethbevarly.com or "like" her on Facebook at www.facebook.com/ElizabethBevarlyReaderPage.